So in handling this paradox of safety with risk, our approach to risk will of course therefore be determined by where or how you experience safety. We tend to experience safety where we can truly place our faith. I am reminded of the exploits of the Niagara Falls tight rope walker in the mid nineteenth century known as “The Great Blondin”, whose real name was Jean Francois Gravelet. He repeated the stunt of crossing the falls on many occasions, sometimes using other props, like bicycles and wheelbarrows. On one occasion he is reputed to have taunted the crowd with the question: “How much do you believe in me?” and getting loud affirmation. He then asked who in the crowd who said they believed in him would get on his back as he crossed the falls. No one was prepared to do that – no one had that much faith in him. He did apparently eventually do it with his own manager, which caused quite a stir not just for the crowd but also for the manager. 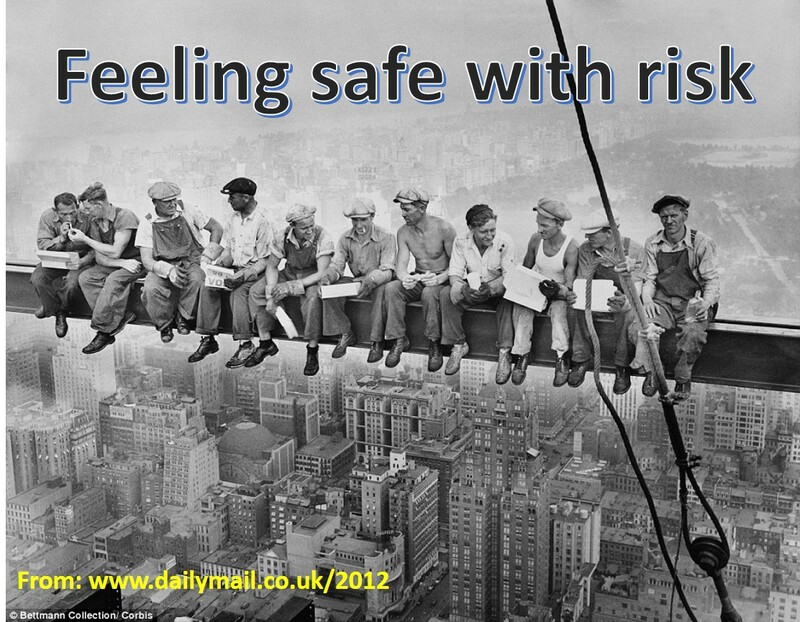 How can you feel safe with risk? To whom or what can you put enough faith to feel safe? For some it’s more in numbers and logic – the evidence is enough. For some it’s in relationships – and knowing that certain key people are in the same place as me. My initial interest in exploring the subject of risk in leadership was shepherded by another related interest – the role of faith in business. I have for some time been fascinated by how some people make quite difficult decisions, on issues involving quite high levels of uncertainty, with an almost equally high degree of confidence. I am particularly fascinated when this happens with leaders in business. And I would tend to express this confidence as faith. Normally there is some object of that faith, and actually the real sentiment attaching that leader to that “object of faith” is trust. So what are those objects of faith, those factors on which a leader bases a decision and which is the source of confidence? They can be a number of things. First and foremost, they can and often are other people. I will take this decision because I trust you; either that you have done your homework adequately in recommending this decision in the first place; or that in going with this plan of action, I can trust you will make sure that it happens the way it needs to. So my faith in taking this decision is in another person or group of people. I have some experience of working with private equity investors and venture capitalists. They take decisions involving risk all the time – that is their business calling. They will review business plans, take positions on certain technologies and market sectors, and meet the proposed teams that will be leading the ventures that are requesting funding. The single biggest factor that will determine whether or not to invest in that venture is what they think of the management team. Essentially it is: do they trust them to do what they say they are going to do in the business plan. The investors are primarily basing their risky decisions on whether or not to invest, on whether or not they have faith in the management team. Leaders can also base their faith on other factors. A strong well-reasoned argument with good supporting evidence can also be a basis for faith. This can be especially true where this forms part of a proven process. This was the culture of decision making at Procter & Gamble (P&G) whom I joined as a trainee Marketing Manager, straight out of business school. P&G has a culture of encouraging new young business managers (Brand Managers, Market Managers) to take ownership for a small portion of the business and take initiatives that require decisions involving some degree of business risk. The primary process for doing this were that juniors like me wrote proposals – often famously no more than one page long – which were submitted, approved and forwarded to increasingly higher levels of management, until they were finally approved for implementation at the appropriately highest level, quite often either the regional General Manager, or the President of the Division, which in my case was P&G’s Export and Special Operations Division, headquartered in Geneva, Switzerland. I remember meeting my regional General Manager for the first time after I joined. He gave me a few tips. One of them was that when I submit a proposal for some kind of investment, if the decision comes down to a difference between his opinion and mine, his would always win. But if it came down to his opinion, and a well-reasoned and evidenced argument on my part, mine would win. Leaders at P&G place a high level of faith in evidence and logic, not to the exclusion of faith in individuals, but the evidence is a major contributor. And of course, because this is part of the P&G culture, the two go very much hand-in-hand. We know people place their faith in a name. Customers make daily decisions on product or service purchases based on brand names. There is risk in any purchase – we often cannot be sure that the product or service that we pay money for, will deliver what it is supposed to. This is the basis of branding. P&G launched the first branded soap, Ivory, in the mid nineteenth century because they noticed that unscrupulous soap makers were supplying poor quality soap to customers – the kind that would just disintegrate after a couple of washes, for example. So you bought your soap from a vendor you trusted – you placed your faith in the person. But as markets got bigger and more impersonal, you couldn’t do this any more. Every purchase was a risk that you were buying a soap that would disintegrate. So P&G created a soap with a quality controlled process, and marked it with a name, a brand name, Ivory. As it happens the brand name was inspired by Psalm 45: “From palaces adorned with ivory, the music of the strings makes you glad”. Here was a soap you could trust – a brand name you could put your faith in. One that effectively mitigated the risk of the purchase. On a larger scale, where risk is a more blatant issue, faith in a brand still plays a significant role. Consider IBM and the mantra that echoed around the corridors of power in many organisations: “at least you won’t get sacked for buying IBM”. Similar stories could be told of other major service business-to-business brands. “We are confident in this difficult decision because McKinsey or PwC have recommended it”. My interest in this approach was also kindled by a conversation with a colleague, on leadership in sustainability, and a particular example from Coca Cola. They became aware that one opportunity to generate significant energy savings and environmental benefits was to put doors on their coolers in retail outlets. And yet they also knew from research that doing this would have a significant adverse impact on sales and profit. So what was the underlying “leadership mindset” that led them to put doors on all their retail coolers? 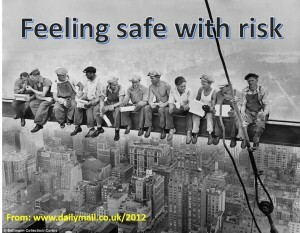 I was interested in how leaders saw “faith” as playing a role in leadership and I saw the link between risk and faith.